One of our bestselling accessories! The Kool Max® Cooling Neck & Upper Spine Wrap cools the major arteries of the neck and upper spine. 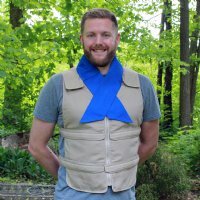 It is important for cooling vests and accessories to fit snug to the body for optimal cooling. 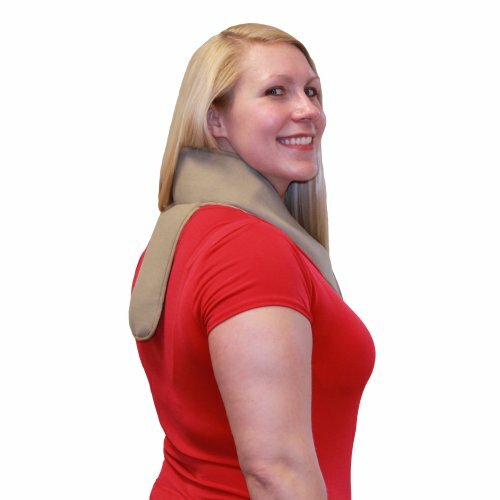 This cooling neck wrap has hook and loop closure tabs for a snug, comfortable fit. 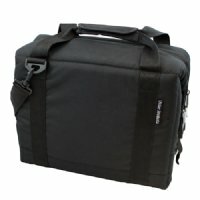 The clean design (with no logos or visible pack pockets!) 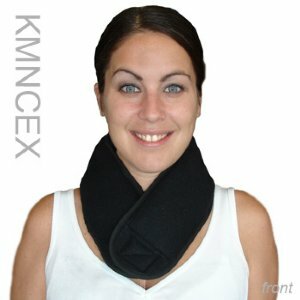 wraps easily around the neck. 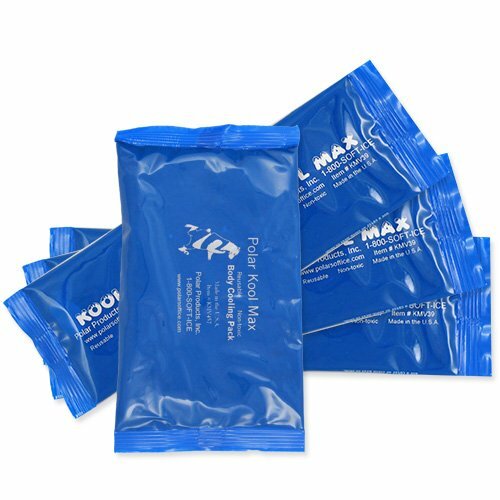 Kool Max® frozen water-based cooling packs require access to a freezer and offer the highest level of cooling energy. These reusable packs deliver comfortable cooling for up to 2 hours. (Please note: cooling times are estimates and will vary depending on climate, body metabolism and activity.) 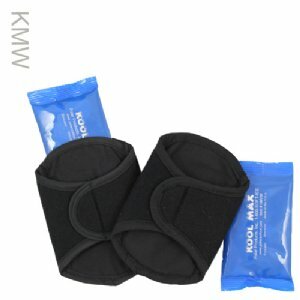 The wrap will hold one (1) 4.5" x 7" Kool Max® cooling pack and three (3) segmented 3" x 9" Kool Max® cooling packs. Packs fit into insulated pockets inside the cooling wrap. The pockets have a comfortable all-cotton fabric to protect the skin and an insulated outer composite fabric to direct the cooling energy toward the body. Temperature may also be adjusted for comfort by increasing or decreasing the number of clothing layers beneath the wrap or the number of packs used. Packs fit into insulated pockets inside the wrap. The pockets have a comfortable cotton fabric to protect the skin and an insulated outer composite fabric to direct the cooling energy toward the body. Lightweight wrap weighs 1.7 lb. with all packs. "Living with MS and no longer trapped in my house"
Details: I have MS and the Coastal heat is too much for me in the long afternoons. The wrap is quickly and easily ready to allow me to go to the grocery or to the mailbox. 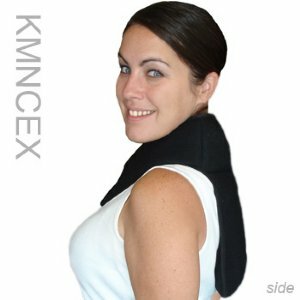 "Kook Max Cooling Neck and Upper Spine Wrap"
Details: Very helpful. Can be somewhat discreet if you wear under a shirt. 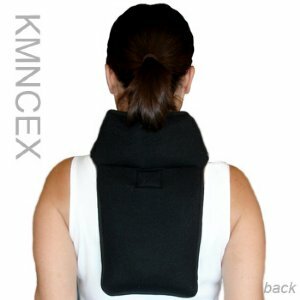 "Cooling neck & upper back"
Details: I love to golf but the heat was making it very difficult, I bought this and was able to play 27 holes without the heat melting me. Details: I have MS and was attending my son's appearance in a musical. The venue had no air conditioning and the temperature was 97. In Chicago with humidity, that feels like 105. I was able to sit through the 2 hour production with the help of this product and fans. Details: I am a security guard and spend a lot of time outdoors at night. The temp. can sometimes be 85 degrees F and the humidity 100% at 4AM!!!! I am over 50 and don't tolerate heat well so I purchased the neck and spine wrap last year and was amazed at how much difference it made!!! I just bought one for a friend! My only gripe is the fabric is a little fragile and the velcro strips tear it too easily. Would you recommend this to a friend? : Already have!!! "Works Great for FMS, hot flashes and muscle inflammation"
Details: I live in Phoenix, AZ and suffer from FMS and menopausal hot flashes. The neck wrap and the neck and upper spine wrap have made it possible for me to make it through the warm days. They also work great for my muscle pain and inflammation. 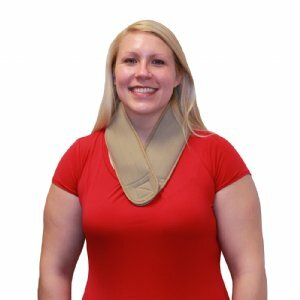 "Update: Use Soft Ice Inserts"
Details: At the recommendation of Polar Products, I tried the Soft Ice inserts with the Neck & Upper Spine Wrap, and it solved every issue I had. 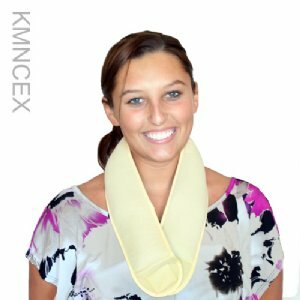 The soft ice inserts make the wrap much more comfortable to wear, and it stays cold throughout the 30-minute treatments I do, while not being too cold to be comfortable. It's now the perfect device for icing my neck and upper spine. Details: I like this hit of ice wear but it rests uncomfortably on my collar bones, which are more pronounced than many. Just another personal problem I guess! Note from Polar: Hi Jeanette, thank you for your feedback. Our packs have a one year warranty so please contact us if you need a replacement pack. If we can be of further assistance please contact us at 1-800-763-8423. Thank you for your business! "Polar Ice Cooling Neck and Upper Spine"
Details: I have found this to be extremely useful and helpful. I suffer from severe migraines and very bad hot flashes. This product has helped me immensely. Details: This product is great. I used it the first day and what a differece it made for me. I'm now a firm believer in pre-cooling too! "Huge help for outdoor heat"
Details: I deliver mail, and the heat in June in Florida is brutal in the mail truck. I love the Kool Max wrap. I keep it in my lunch cooler with an ice pack that keeps it frozen. When the heat is getting me frazzled I pull it out and put it on. The ice lasts for close to two hours in the 95-100 degree heat in my mail truck. It is a HUGE help to me to get through the day. I am going to get refills to make it last even longer. I would highly recommend this to anyone, and I have. Thank you!! Details: I love this ugly cooler. I was so comfortable at the carnival that I didn't care if I looked wierd. The spine section is my favorite. So effective! Details: This product works exactly as described! It lowers my body temperature as needed. Details: So far I have only needed this once but it's just the beginning of summer. I needed something that wasn't as bulky as a vest. I'm sure that it will be a life saver when it gets hotter.